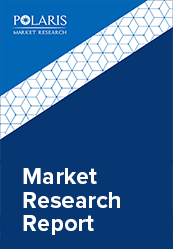 The Global Polypropylene Market is anticipated to grow at a CAGR of 5.8% between 2018 and 2026. The primary factor influencing the market growth is the widening scope of application of polypropylene in construction, automobiles, packaging, and consumer goods. Furthermore, the growing demand for eco-friendly materials such as bio-based polypropylene is also contributing to the polypropylene market growth. Polypropylene is utilized in the production of a large variety of products, which are used for different purposes in various industries. These product ranges from food, textiles, tubing, furniture, cosmetics, industrial, medicines, and household purposes. Polypropylene is highly transparent, lightweight, versatile, and is capable of being recycled. It is highly compatible with a majority of processing techniques and is much clearer than any other polyolefins. Thus, making it the most preferred choice of material for the production of plastic containers. Moreover, its lightweight makes it suitable for the production of lightweight products as well as applications. Polypropylene can be easily copolymerized with other polymers such as polyethylene. Through copolymerization, significant changes are made to the properties of the material. Moreover, Polypropylene exhibits some significant properties such as high chemical resistance, elasticity, strength, fatigue resistance, transmissivity, and insulation. Thus, allowing large engineering applications, including toys, dishwasher, cups, safe plates, containers, and trays, among others. Polypropylene finds high application for both household and industrial purposes, primarily due to its unique capabilities and properties such as high chemical resistance, elasticity, strength, fatigue resistance, transmissivity, and insulation. It is capable of being utilized as a plastic as well as fiber. Moreover, it can be manufactured via a number of processes such as Computer Numerical Control (CNC), thermoforming, crimping, and injection molding, among others. The global polypropylene market is segmented based on application, region, and type. The type segment is further segmented into homopolymer and copolymer. Among them, homopolymer segment acquires the largest market share. While, copolymer segment is anticipated to experience the highest growth, owing to its unique properties such as malleability, and transparency. These properties are expected to positively impact its demand and application in various industries. Based on application, the industry has been bifurcated into automotive, consumer goods, construction, electrical, packaging, and others. Packaging segment acquired the largest market share among the other applications. The segment is expected to retain its dominance in the coming next eight years. The primary reason for such dominance is the rapidly growing demand for low cost, versatile, and environment-friendly material that can be utilized for producing quality plastics goods, and packing high-end products. Based on regions, the polypropylene market is bifurcated into North America, Europe, Asia Pacific, Latin America, and Middle East & Africa. North America acquired the highest market share in 2016 and is expected to lose its market share to Asia Pacific’s rapidly growing demand. The Asia Pacific is projected to emerge as the rapidly expanding regional market, primarily due to the presence of manufacturing hubs in emerging nation such as China, Thailand, and India, among others. These, are increasingly contributing to high consumption and production demand. Moreover, Europe regional polypropylene market is projected to witness an increase in demand in the coming next eight years. Some of the leading industry participants currently operating in the polypropylene market include LyondellBasell, Japan Polypropylene Corporation, BASF AG, SABIC (Saudi Basic Industries Corporation), Braskem, China Petroleum & Chemical Corporation (Sinopec), Borealis AG, Total Refining and Chemicals Business, INEOS Olefins and Polymers Europe, ExxonMobil Chemical, Reliance Industries Limited, and PetroChina Co. Ltd., among others. The industry is highly fragmented, due to the presence of numerous regional, local and international vendors. Such a large number of players in the market elevates the competition levels, and consequently lowers the supplier’s bargaining power. Moreover, they are actively engaging in strategic initiatives that will help them improve their market position.